An excellent choice for a colour laser workhorse, the Ricoh Aficio SPC320DN gives you the quality prints you need at the best printing rates. Conventional and high-yield cartridges are available to lessen running costs. The Ricoh Aficio SPC320DN can also print high quality photos without even connecting to a computer, thanks to the printer's PictBridge support. It however, lacks wireless connectivity, as well as the versatility of an all-in-one device. The Ricoh Aficio SPC320DN measures about 15.8x18.9x15.2 inches and boasts a solid, sturdy design with an auto duplexing unit for automatic back-to-back printing. The paper tray has a capacity of up to 500 sheets, plus an additional 100 sheets for the bypass tray. The Ricoh Aficio SPC320DN also has the same energy-saving features as the earlier SPC models, allowing more TCO (total cost of ownership) savings. The Ricoh Aficio SPC320DN is compatible with Mac and Windows operating systems, and features a 128 MB memory, expandable to 768 MB. The machine can produce up to 26 prints per minute (in black and white or colour) and boasts a monthly duty cycle of up to 75,000 impressions. Maximum print resolution is up to 1200x1200dpi. 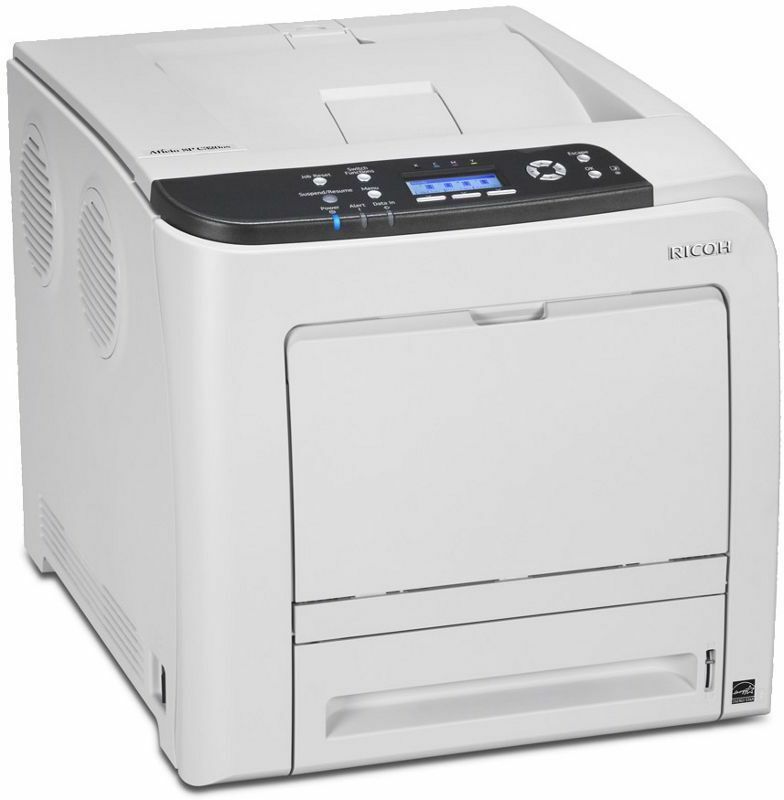 The Ricoh Aficio SPC320DN is a single-function colour laser printer without any wireless capabilities. However, networking is possible via Ethernet connection. It also allows PC-less operation via PictBridge.